Imagine waking up to a brilliant ray of beaming sun through your sheer curtains, then looking outside to see only shining sand, crystal clear waters and softly swaying palm trees. This is what we recently experienced at the Marriott Fiji in Momi Bay which became our glorious new home for ten days in October (that we never wanted to leave). We began the trip in pure Fiji style; slow paced & relaxed, with a whole lot of family and friends in celebration of Simone’s 50th birthday. It didn’t take long for the infinity pool to become our new favourite place. 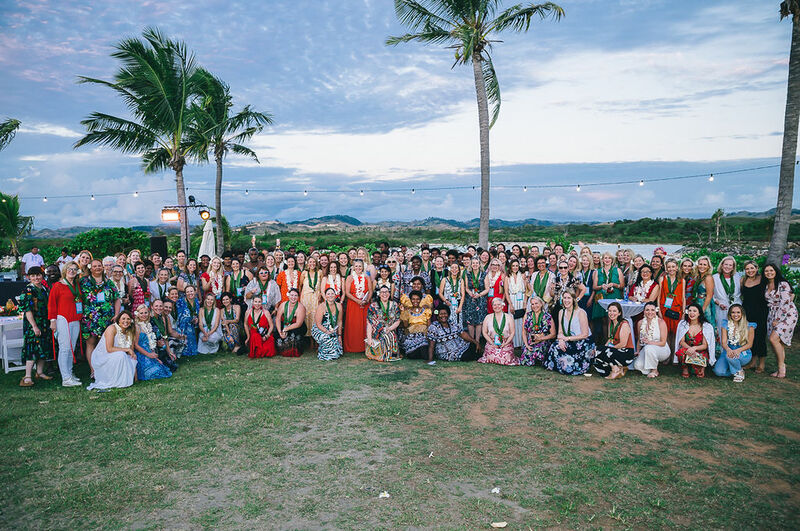 We quickly formed brilliant friendships and connections with the beautiful Fijian staff that we will never forget. The highlight definitely had to be the wild jet ski safari that Simone and I took to a secluded reef where we jumped off our jet ski into the middle of the ocean (scary!) and snorkelled in bright blue waters admiring the underwater sea life. Following nearly a week of birthday celebrations, Simone and I embarked on the next part of our trip, still at the same amazing location (thank goodness). 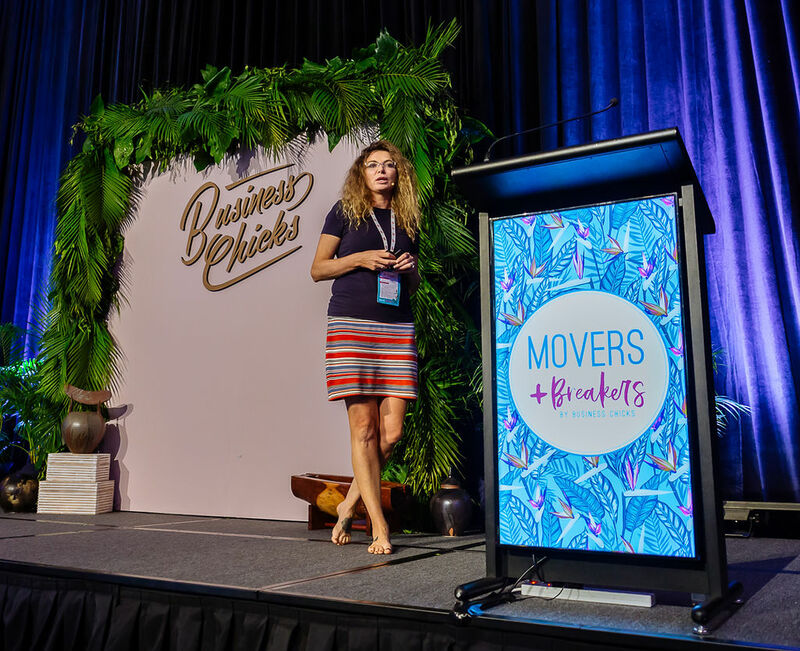 We joined 120 incredible women to take part in Movers & Breakers 2018, a transformational networking event hosted by Australia’s largest and most influential community for women – Business Chicks. And let me tell you…they sure know how to party and have a good time. 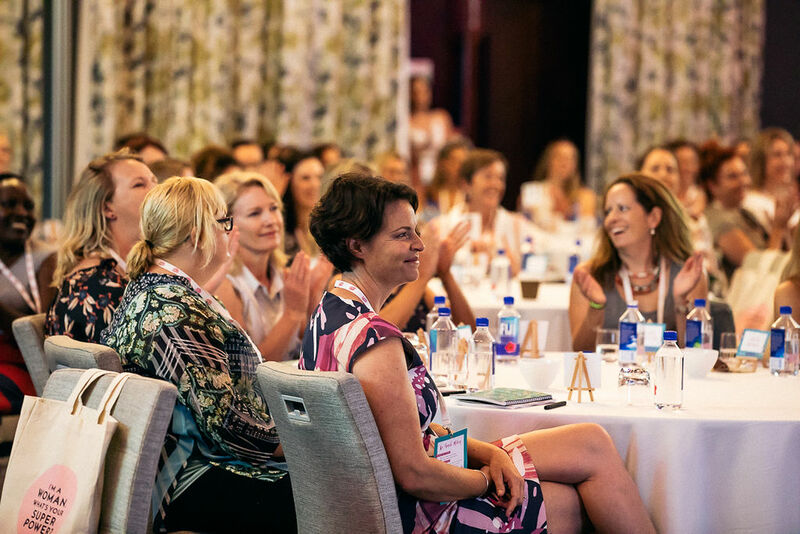 The event was spread over three days with an array of inspirational speakers that left us in awe and with so much to bring back to our workplace and lives in general. 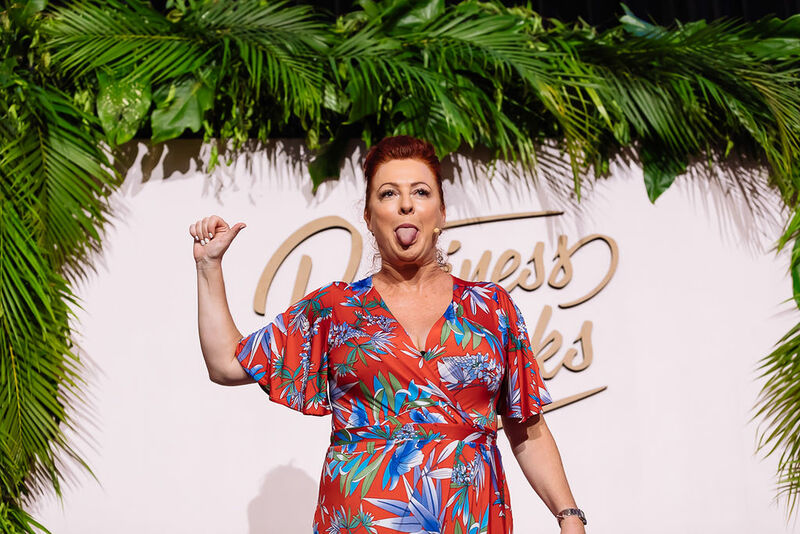 The greatest takeaway from the Movers and Breakers absolutely had to be the strong connections we formed with business women from all around Australia. 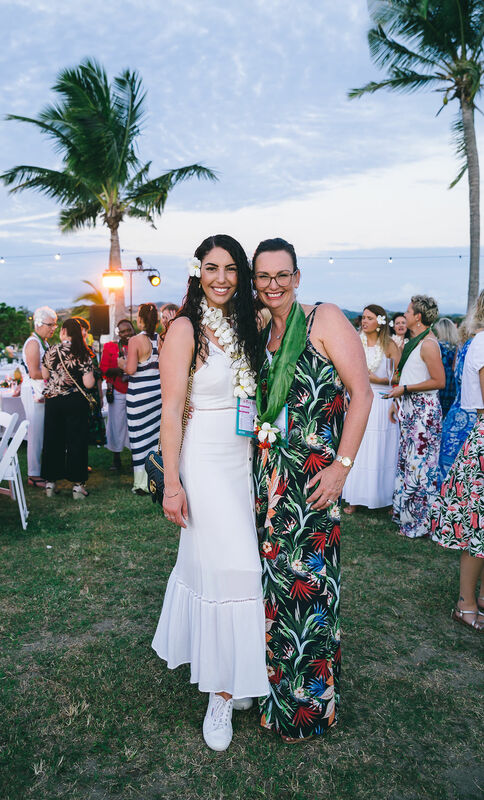 At first, we had no idea who anyone was but by the end we had become a connected family of women. The three days began by the sea, with welcome drinks and dinner at North Point. We were greeted with champagne, Fijian music and dancing. The crowds of beautiful, intelligent women arriving to the point almost become confronting, but the champagne helped us loosen up and get talkative. The dinner was a divine buffet feast (actually the whole experience was a feast, they just kept feeding us incredibly well) where we networked with a table of like-minded women and danced with them and the Fijians until it was time to call it a night before our first day of the conference. We woke energised and eager to see what this conference was all about. It was opened by a familiar face who we had met at breakfast – the MC, Karen James. Karen really knows how to get a crowd started with her fine messages, mixed with ingenious humour. Karen’s a Jersey girl turned social entrepreneur, author and speaker. She started the conference with a quote that really resonated with me, “our deepest fear is not that we are inadequate, it is that we have power beyond measure.” What a way to kick off the day! 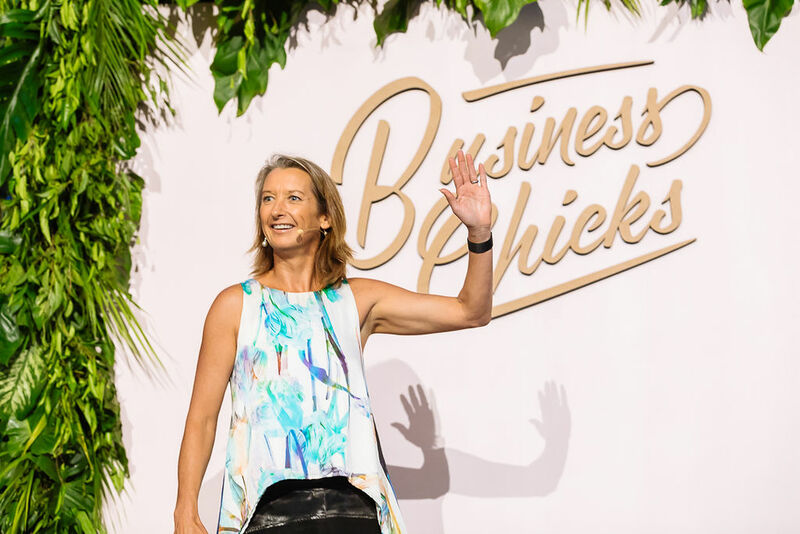 The first speaker was the most successful female surfer in history, Layne Beachley. Now working as a motivational speaker, trainer and mentor, Layne inspires individuals and teams to clarify their vision and achieve sustained success. Layne taught us some very important messages about self-worth and the value of one’s self. “Your relationship with yourself sets the tone for every other relationship you have.” Layne encouraged us to develop our own mantra and to realise that you should only take the opportunities that light you up or more simply as Layne puts it, “if it lights you up, it’s a hell yeah. It is doesn’t, it’s a f*%k no”. Layne taught us to clarify your intrinsic motivators, to find the people in your life who are your honesty barometers, she taught us that action is an antidote to fear and that we all need to remember to breathe. Next up was Dr Sarah McKay, neuroscientist, founder of The Neuroscience Academy and author of The Women’s Brain Book. 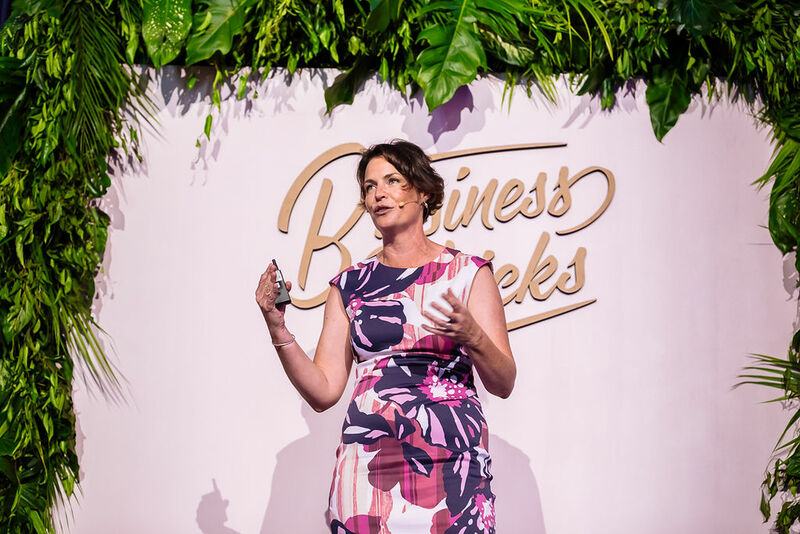 She specialises in translating brain science research into simple, actionable strategies for peak performance, creativity, health and wellbeing. Dr McKay more specifically focused on the misplaced importance we place on hormones. Often when we as women question, “do you think that’s your hormones?”, well, it’s actually a non-proven scientific fact. What is a fact, however, is that girls who go through puberty earlier are far more vulnerable to depression and this fact is opposite for boys. Dr Carrie Kholi, an educator, poet, scholar, entrepreneur, new-media enthusiast and strategist empowered us to know that we are the creators of our future right now, in this moment and that only we can reclaim our own narrative. During our sessions with Kholi, we engaged in a humble, open and transparent session amongst the group whereby we realised we all had many similarities. We were taught that each of us has a beginning, middle and beginning again. There is no end, just what we make of the next beginning again. To conclude day one of guest speakers, we heard from Rearn Norman a senior psychologist at the Centre for Leadership Advantage. With over a decade of consulting and industry experience, Rearn brings specialist expertise in the areas of organisational development, leadership assessment, coaching, talent management and workforce planning. Her practice as a consulting psychologist leads her to apply research-based principles and frameworks in the design and implementation of workforce solutions. More specifically Rearn focused on the topic of influence and how influence motivates people, how to gain influence and most importantly how to best utilise your influence and leverage your network. 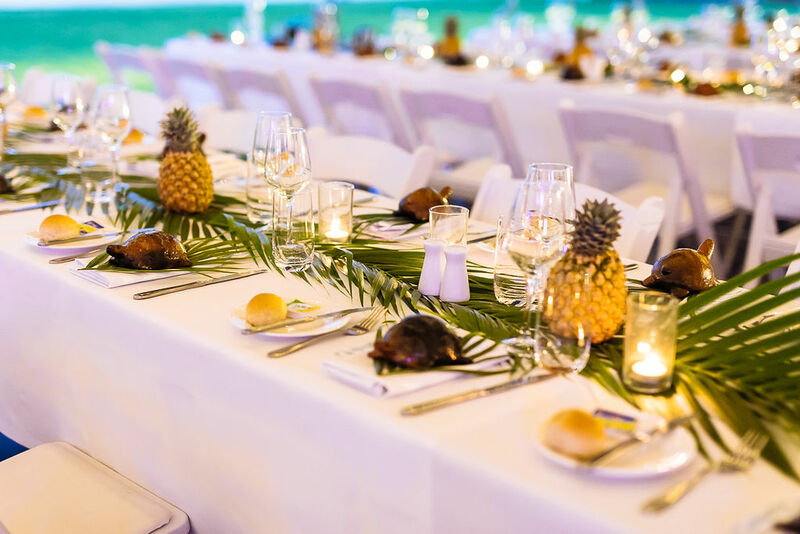 The day finished up with a lovely dinner under the stars on the Vonu Lawn where we continued to develop our newly formed connections whilst we enjoyed the entertainment of the locals. 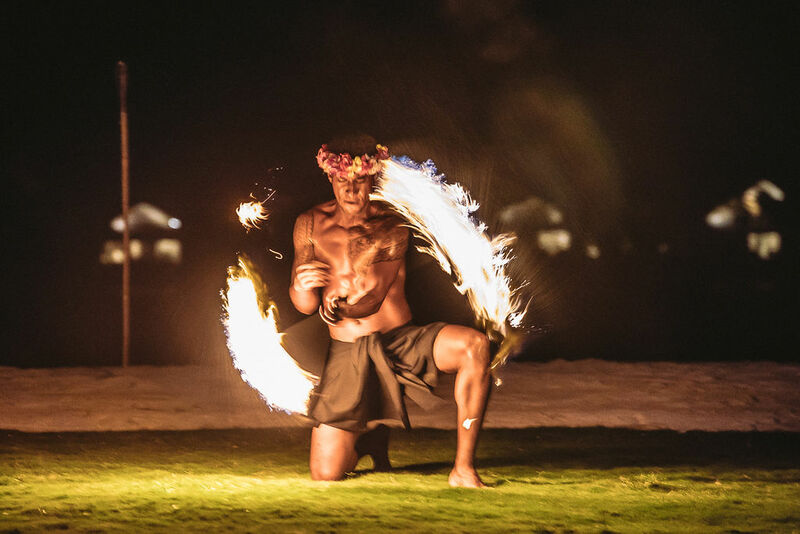 We were significantly impressed by their outstanding fire dancing talents. Day 2 of speakers began with the notable Shelly Horton, journalist, TV presenter and media trainer. Shelly walked us through all the top tips to present like a pro, how to bust nerves and how to effectively deliver your key message. Shelly lit up the stage as she got us up off our feet dancing and humouring ourselves with fun and laughter. One sparkling bit of information I took away from Shelly’s presentation is that when it comes to presenting, you need to realise that other people actually want you to succeed. We then got to hear the incredible story of Andre Eikmeier. Andre is a thought leader and passionate speaker about failure, culture, branding, standing for something, building tribes and being human. We heard the raw recollection of Andre’s failed businesses, failed acting career & singing career, a failed events company, video production company and an online wine social site which made no money. 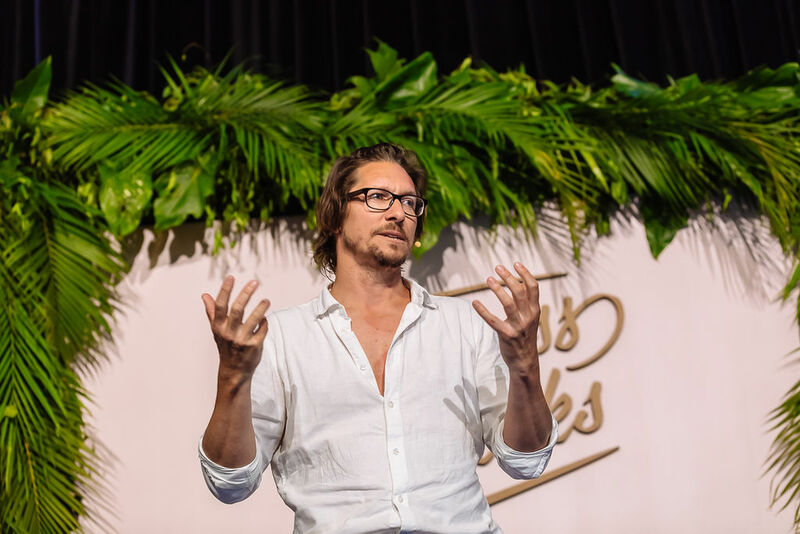 Then Andre finally launched a wine company Vinomofo, and grew it from two founders in their garage to a $100 million wine brand, uniting a tribe of passionate wine lovers around the world. We then got to hear the incredible story of Andre Eikmeier. Andre is a thought leader and passionate speaker about failure, culture, branding, standing for something, building tribes and being human. We heard the raw recollection of Andre’s failed businesses, failed acting career & singing career, a failed events company, video production company and an online wine social site which made no money. 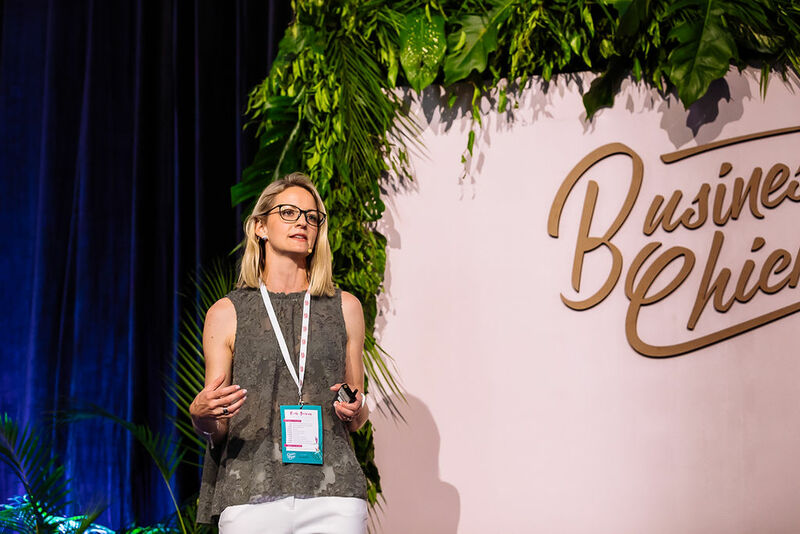 Then Andre finally launched a wine company Vinomofo, and grew it from two founders in their garage to a $100 million wine brand, uniting a tribe of passionate wine lovers around the world. Next up, was the advertising genius Dee Madigan. Dee is the executive creative director for Campaign Edge, with over 20 years of experience in the advertising industry, she has developed integrated campaigns for some of the world’s largest brands. Dee showed us that “a brand is not what a company says about itself. It’s how your customers feel about your brand” which is something that rings true to us a dermaviduals in that every day we are changing lives not just skins. Our word of mouth is our greatest advantage. Dee reinforced that effective messages are always based on brand truths. To conclude the event, we heard from the uplifting Holley Murchison, founder and CEO of Oratory Glory. Holley is an author, education producer and strategist whose work lies at the intersection of communication and culture. 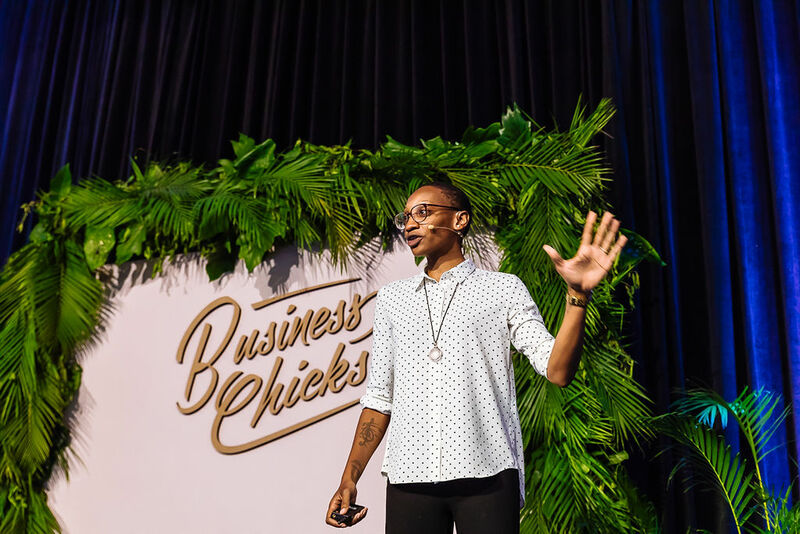 She empowers executives, students, artists and creative entrepreneurs to tap into their passions and desires while using their voices to shape the world around them. Holley’s key message was to “own your voice, leave your mark”, whereby she focused considerably on the legacy we each leave behind. 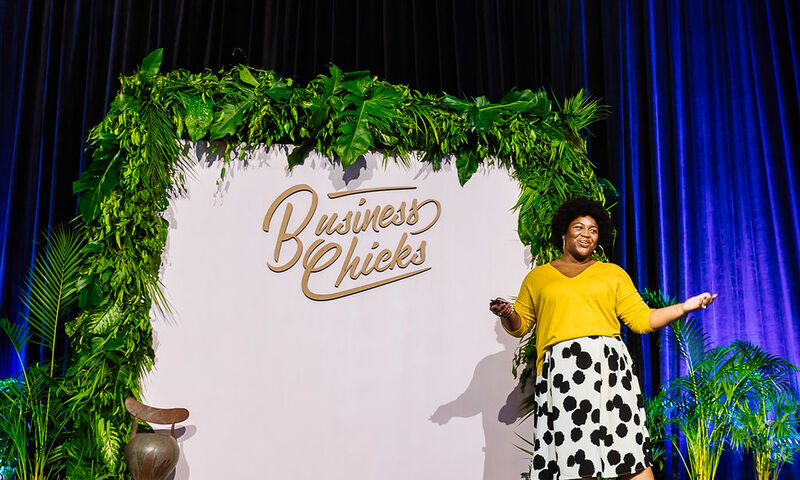 Something that resonated with Simone and I was when Holley stated that, “the things you got fed up with is probably why you started a business” and we nodded in agreeance. I fondly remember the days when nothing would cure mine and my brother’s severe acne and this inspired Simone’s search for dermaviduals with Reika by her side because they aspired to deliver a product to the Australian and New Zealand marketplace that was like no other. A product that is individually formulated for all skin types and conditions and a platform to create educated skin treatment therapists who would lead our legacy to “change lives, not just skins”. After our two days of remarkable learning experiences and development of new networks, we celebrated in style at the signature themed finale party. Since we were in Fiji, the party was F themed. 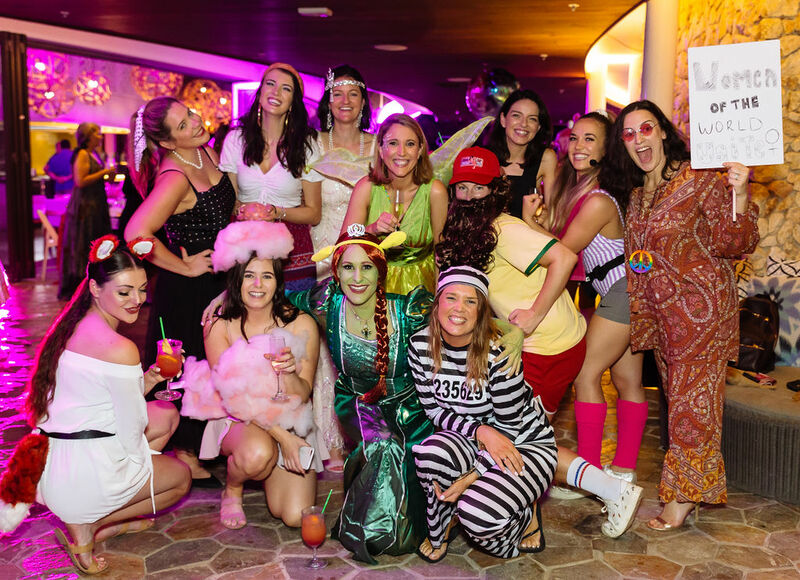 Our new-found friends came disguised as flapper dancers, flamingos, fairy’s, fortune tellers, flamenco dancers and even the Flintstones just to name a few. 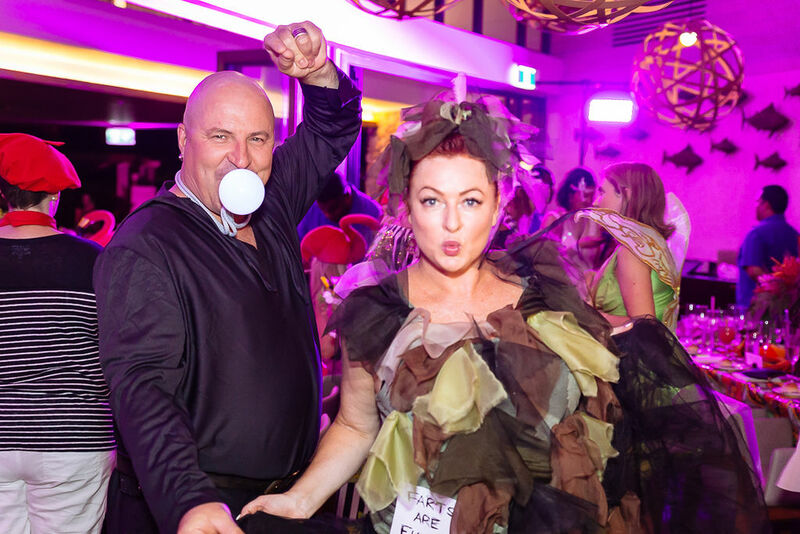 Shelly Horton even came dressed as a fart haha! By this stage, we had become quite familiar with our peers and we danced the night away. But it was soon time to say goodbye. After the night ended, we enjoyed one last splendid night sleep in Fiji and packed our bags ready to come home, way too excited to see our fur babies (of course!). The key message we took from our experience is that if you set a vision, it will set you free. At the end of an experience like this, you feel like a new person. Someone who is relaxed, confident and happy to be exactly who they are and where you are in life. The world cries for women to be more powerful influences, so let’s be exactly that!